When I think of the best prison shows, I don’t think of Prison Break or The Shawshank Redemption, I think of Porridge. Ronnie Barker and Richard Beckinsale (for you young ‘uns, he was Kate Beckinsale’s dad) were perfect in the 1970s sitcom, set in the fictional Slade Prison. 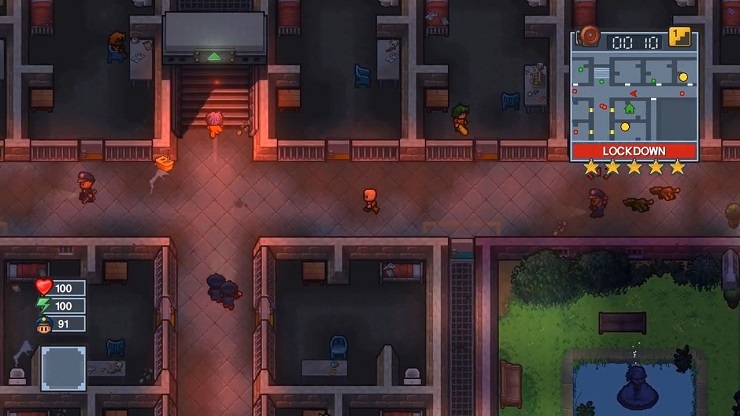 It was never about escaping, but rather the day-to-day goings on in prison life, and that’s exactly how I felt during my time with The Escapists 2. Beginning with the, ahem, “tutorial” in which some fella named Robinson recounts his tale of how he escaped prison, my time with the game didn’t get off to the best start. This section was too concerned with forcing humour down my throat instead of actually telling me how to play the game properly, which instantly made me feel like this was not a game for new players. It doesn’t help that text bubbles regularly overlap one another too, obscuring vital information. Once I got into the game proper, in the first of many prisons because my character is apparently an habitual criminal like Ronnie Barker’s Fletcher, I was given a brief tour of my new digs by the warden. I then proceeded to spend the majority of my time working out just what the hell I was supposed to be doing. I knew my aim was to escape, but beyond that all I seemed to be doing was going through the motions; eating breakfast and trying to work out how to get a new job, or exercising and showering. It was only after a few days of in-game time that I worked out that visiting the library was a good idea as it increased intelligence, thus allowing me to craft more complex items to aid in my eventual escape attempt. Crafting is a major feature of the game, as you gather bits and pieces and assemble them into makeshift tools and weapons. You can also craft more weird and wonderful items for use in later scenarios, as well as side-quest-specific things for your fellow inmates. Don’t be surprised when you’re asked to create a manicure set for someone, as it isn’t all shivs and other weaponry. Those latter items are classed as contraband, which you will need to hide so that you aren’t beaten unconscious by the guards, which happened to me on numerous occasions. Fights often break out in the canteen area, with AI getting rowdy and causing massive brawls between inmates and guards. You can take advantage of these, taking keys from a guard’s unconscious body, but you absolutely must hide them as soon as is humanly possible, before the dogs are let loose. This does prove that the ecosystem in The Escapists 2 is top notch, as everything really does affect something else. Even if you do your best to hide your escape efforts, the guards will likely spot something at some point and your star level will increase exponentially. This star level is basically the same as GTA’s wanted system, but it represents suspicion rather than signing your death warrant as it would in San Andreas, so a few stars won’t automatically result in police brutality. That’s not to say that you won’t find yourself on the receiving end of a baton or dog bite now and again, especially if you miss a mandatory task. At roll call the guards will also announce searches of two randomly selected cells, so you best be sure that any contraband is hidden elsewhere or the guards will descend upon you like that swarm of locusts in The Mummy. Escaping really isn’t that easy. Unless you’re on a timed level which offers more clearly defined ways to get out, it can take hours upon hours to find your way to freedom. As I mentioned earlier, the majority of your time will be spent going from task to task, then using free time to scavenge for supplies and scout guard patrols, or simply complete side quests given by select cons. Many of these cons are based on Youtubers too, which for me is kinda icky, but fans might get a kick out of it. The most obvious one is probably JackSepticEye, his sprite topped by that signature neon green hair, which at least lends well to the colourful nature of the visuals. Each prison is bright and colourful, with different themes like the wild west and even space (though progression is slow, so it might be a while before you see most of them), so vibrant characters work really well. You can even customise the inmate population to suit your own style. 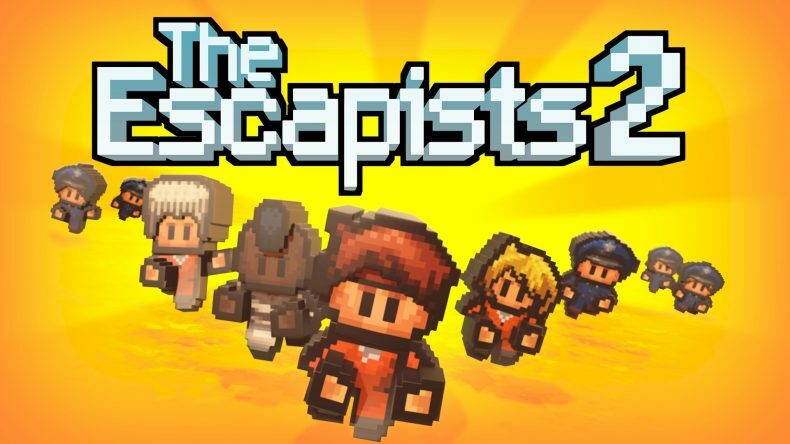 None of this takes away from the feeling that there isn’t much longevity to The Escapists 2, despite the many different maps and even the likes of escaping a moving prison train. Of course, fans of the original will enjoy it and probably love trying to top the leaderboards for fastest escapes, but the rest of us newbies might find it a struggle to get into. 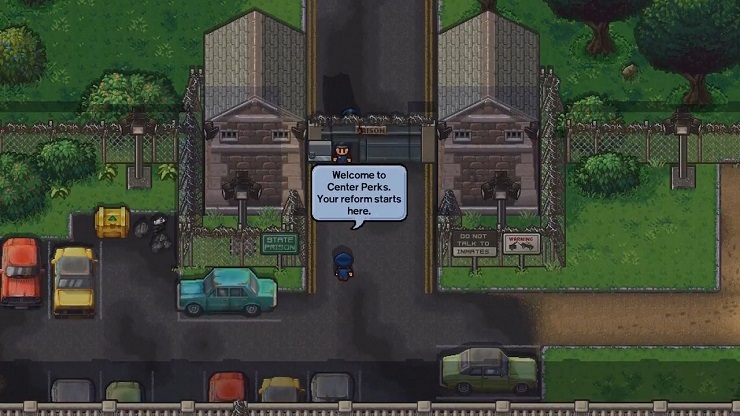 Escaping from a prison sounds like a great concept, but half the time The Escapists 2 is just a time management game. A sandbox without much content.